Countless Saudi businesses are turning to solar power as an energy saver to lower their SEC bills — and they’re reaping the benefits. This is one of their stories. Aljoaib Holdings is a family business with a diversified portfolio of wholly-owned companies operating in an array of industries – including oil and gas, energy, construction and agriculture. With more than 50 years in the Saudi energy industry, it’s no surprise that they would be an early adopter of solar power. With Saudi Vision 2030 around the corner — and the cost of SEC bills expected to incrementally rise in the coming years — Aljoaib turned to the skies for relief. 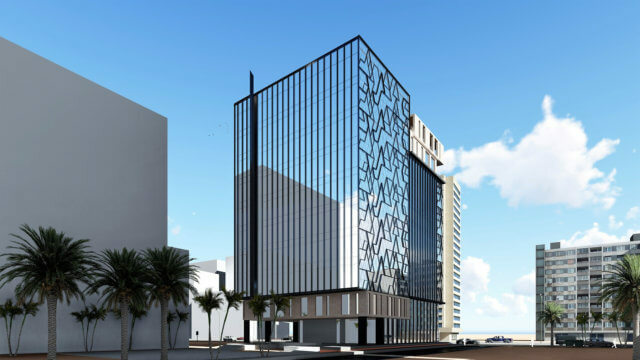 Aljoaib Tower, an 8-story office building that serves as the company’s headquarters in Dammam, requires a LOT of power — 256 kW of power demand to be exact. Bringing the total annual consumption to about 224,500 kWh. The cost of electricity was putting a serious dent in the company’s bottom line, with operational expenditures only expected to rise due to inevitable reduction in Saudi energy subsidies, something had to give. Solar was the smart choice. The company installed on-grid solar — a system that hooks directly into the existing power grid — for Aljoaib Tower. Using 132 solar panels and 2 PV inverters, the system was designed as a “solar canopy” that covered 258 square meters (2,780 square feet). 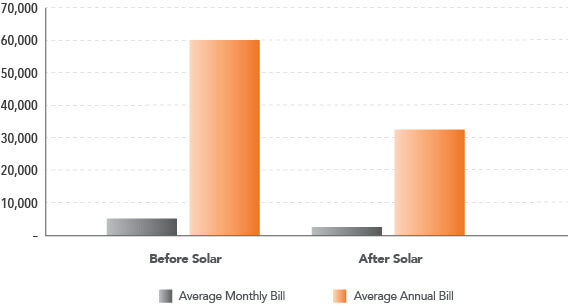 Aljoaib was able to start generating their own power immediately, which slashed their SEC bill by about 47%. With an on-grid solar system, Aljoaib did not require its own solar energy storage solution, which saved additional system costs. 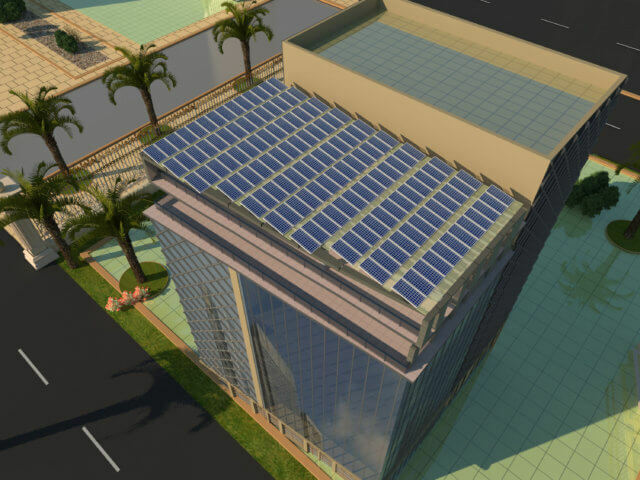 The total upfront cost included only the cost of the PV panels, inverters, design, installation. 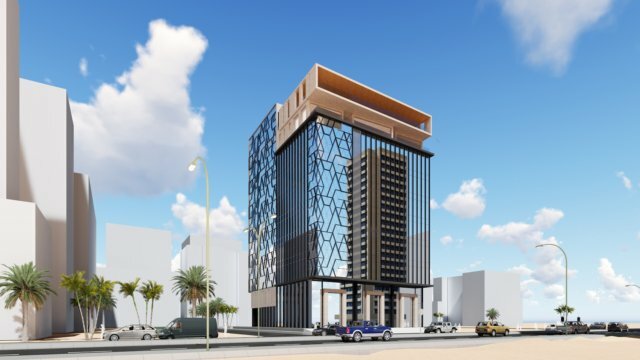 The total cost of the system for the 8-story tower — including the VAT (5%) — was SAR 186,000 ($49,777 USD). Immediately after installing its on-grid solar system, Aljoaib started capturing energy from the sun and diverting any unused energy via the Saudi energy grid. The system generated a solar peak power rate (the amount of power generated instantaneously via solar) of 47.5 kWP, for a total annual energy yield of 95.04 MWh. Their power costs immediately dropped a substantial amount, and the company’s bottom line was no longer weighed down by the monthly SEC bills. The system proved to be an incredible energy saver for the company. At the current rate of savings — which is actually expected to increase with declining subsidies and rising power costs — the company will recoup their initial investment in just 6.5 years or sooner. 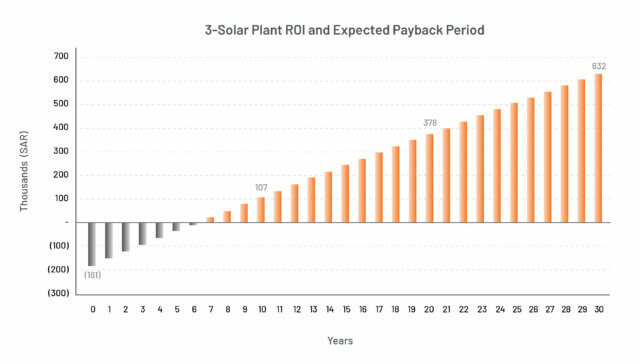 And with an above PV industry standard of 30 years of continued performance – the on-grid solar system will continue on well after that with expected linear degrading, making electricity incredibly cheap for Aljoaib, slashing its operating costs and opening up room for business-growth investments. Solar is the future, both in the Kingdom and abroad. And with Saudi Vision 2030 on the horizon, now is a great time to invest in the energy of the future. Sun Capture is a solar energy services company in Saudi Arabia helping GCC businesses bridge the gap between the current rising energy demands and costs, and the coming Saudi Arabian national move towards affordable renewable energy. To learn more about how solar can help your energy needs and bring your business in line with Saudi Vision 2030, contact us today.